Remember Sofia's stunning gown for the King's Dinner for the Nobel Laureate's? Well after many weeks of looking through fashion show photos- I stumbled upon it by accident! 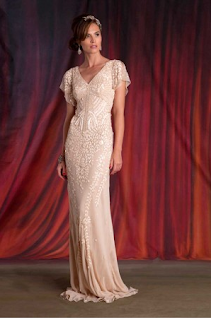 The gown comes from Eliza Jane Howell!